At past DHI conferences, I have put most of my focus on the expo floor. This year I wanted a different experience so I made a commitment to participate in as many learning opportunities as I could fit in. 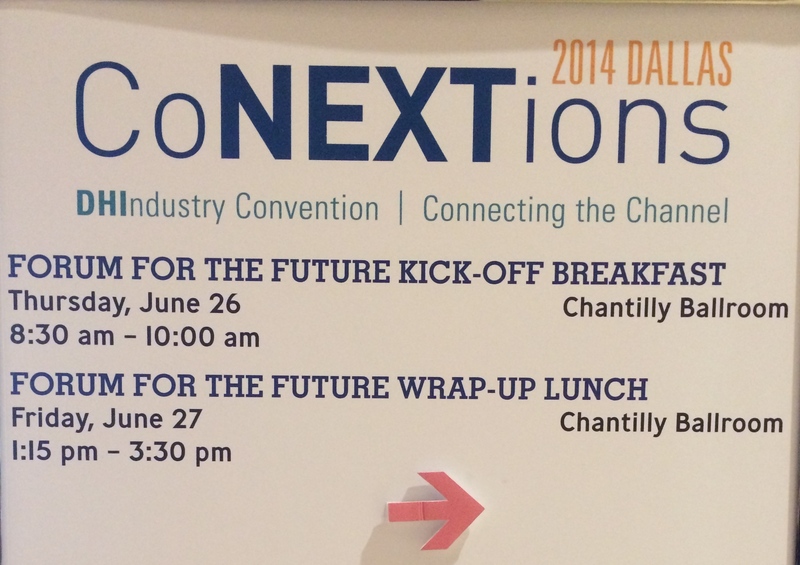 I am embarrassed to admit that this was my first time attending the Forum for the Future Kick-Off Breakfast. To redeem myself, I can say that I won’t miss another one! The two speakers were excellent. They each shared valuable information that if utilized definitely has the potential to increase your ROI. This post is about the the first speaker, Robert A. Murray, Chief Economist and Vice President, McGraw Hill Construction giving a 2014 construction outlook midyear report. I was not able to take notes fast enough to capture all of the valuable information that Robert was throwing at us, but I was able to catch some great points that I have listed below. Here is an example of some of the valuable information Robert shared with the attendees, my apologies for the glare! Since you couldn’t see the most important column I did some research and found this table. 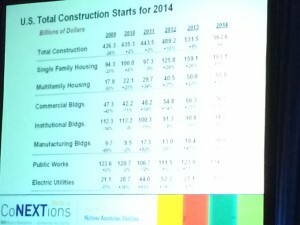 I would think the slides at the luncheon would have the most up to date information, but the $$ on the table are very close. 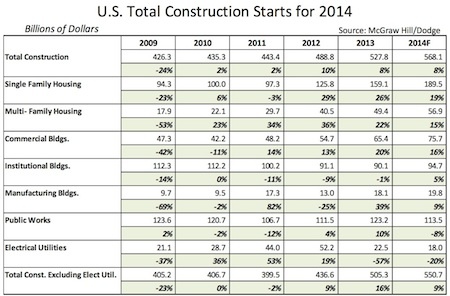 It’s nice to see that total construction spending has slowly, but steadily increased since 2010. I know that everyone throughout my territory is very busy and having a hard time keeping up with the staff they have. A few are considering hiring which is a good sign. Finding a good candidate seems to be the difficulty, which could be a topic for a post of its own. 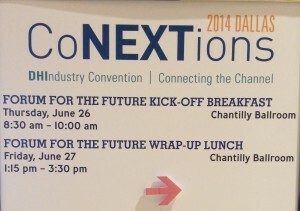 Tomorrows post will be on the second speaker at the Forum for the Future Kick-Off Breakfast. He was very engaging and full of helpful marketing tips.